As we reach the end of the calendar year, we thought it was a good opportunity for the Dairy Edge to take a look at the major events that impacted on the dairy industry across the year of 2018. Pat Dillon, Head of Animal & Grassland Research & Innovation and Michael Egan, Grassland Researcher, both from Teagasc Moorepark took us on a journey that started back in January. 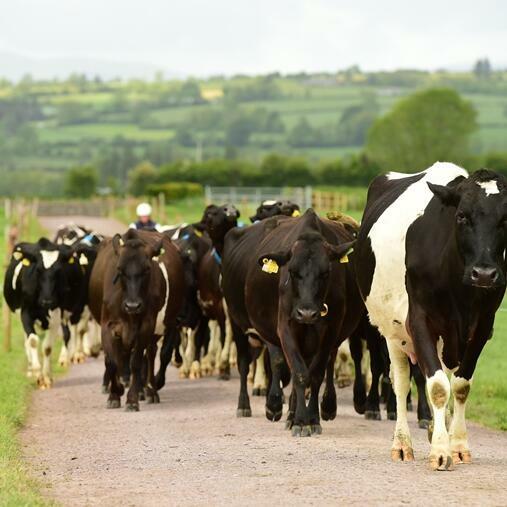 Pat reflected on the milk produced in the country this year, with a national figure of 7.6 billion litres, Irish dairy farmers have achieved Food Harvest targets ahead of time. Looking at the various weather events, which impacted the spring and summer significantly, and while autumn came good, farmers failed to catch up on lost ground earlier in the year. Michael Egan explained the effect of the various weather events on grass production and encouraged farmers to take more control over their grassland management decisions and be proactive rather than reactive to variation. Pat quantified the impact of the year on overall profitability, with net profit declining by 5 cent/litre. For the average farm producing 400,000 litres it is a reduction in income to the tune of €20,000. How do you plan to regain this money in profit next year? Pat and Michael finished by discussing their lessons learned from 2018 and suggest some New Year's Resolutions that dairy farmers should consider for the year to come.